Looking south. 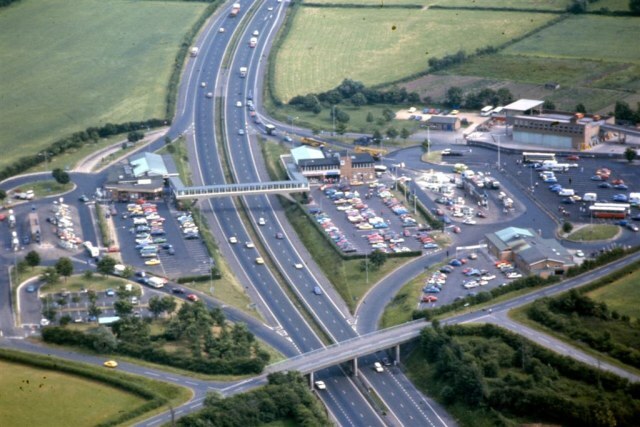 The northbound (right-hand) side has three buildings: a waitress service restaurant, a self-service café and the original motorway maintenance depot. There appears to be ungated access to the local roads too. With thanks to an anonymous contributor for sending this in.